Barrie Colts expected to select Ryan Suzuki 1st Overall at OHL Draft. #OHL - Very Barrie Colts | A website covering the Barrie Colts of the OHL. So, it looks like our reasons ‘Jack Hughes should want to be a Barrie Colt’ didn’t win him over. Luckily for the Barrie Colts there is lots of other talent. With Jack hitting the road to USNTDP, The Colts need to find a new number 1 pick at the upcoming OHL Draft this Saturday, and according to TSN’s Bob McKenzie, they have already found their guy. Barrie Colts are expected to make Ryan Suzuki of London the first overall pick in Saturday's OHL draft. 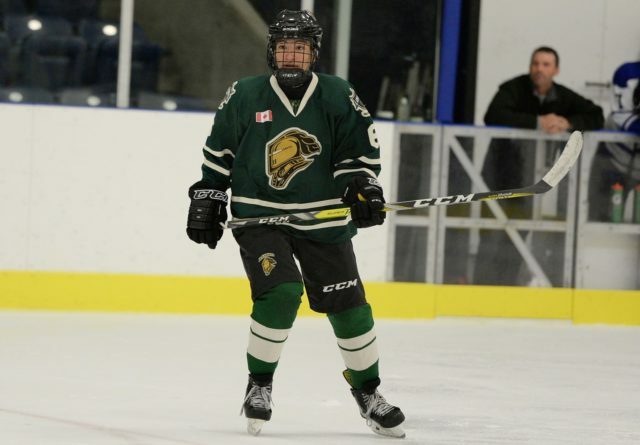 The Colts are expected to select forward Ryan Suzuki of the London Jr. Knights. Perhaps you recognize the name? Well, Ryan's older brother, Nicholas Suzuki is a member of the Owen Sound Attack. Nicholas was selected by Owen Sound 14th overall in 2015. Ryan had an outstanding season with the London Jr. Knights putting up 19 goals and 40 assists over 32 games played. He would go on to win the Alliance Hockey Player of the Year award, which his brother also won in the 2014-15 season. His 59 points this season has him in 52 all time in the AHMMPL for total all-time points leaders. Here is what Tyler Parchem at Eliteprospects.com has to say about him on his player bio. Suzuki is one of the smartest OHL prospects we have seen in years. He is a good skater, excellent passer and is very good at putting himself in scoring positions where he rarely fails to capitalize. He does not play overly physical, but is very good at avoiding contact as well. He has excellent hands and all around vision. The top player in the Alliance Loop this season, his name will be called very early in April's OHL Draft. The London native will be a great addition to the Colts. His coaches and others around the league say that he is not only a great player but also an excellent leader that makes others around him want to be better. This is exactly the type of player the Barrie Colts need to bring in. Ryan is eligible for the 2019 NHL entry draft. With the Colts struggles this season, no doubt they are anxious to bring in some young talent. Not only do they have the 1st pick in Saturdays draft, but also 1st pick in the U-18 priority selection next Wednesday and 1st pick in June's CHL import draft. The OHL draft is this Saturday, April 8th and starts at 9am. We will keep you posted on the Colts selections throughout the Draft as it happens.